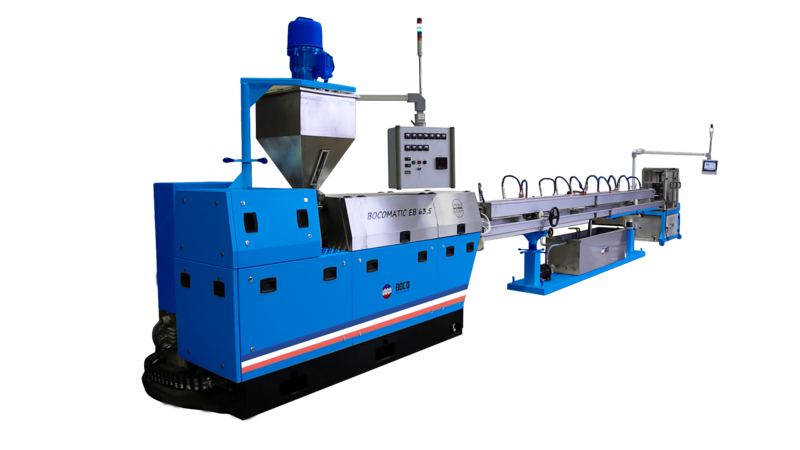 Company BOCO produces a single-screw extruder with special geometry for thermoplastic elastomers that are designed in our designer office, for maximal performance and perfect readiness of the melt to its extrusion. Worth noticing is the machine design made according to customers‘ needs. Sealing components, covers and car – bowden are manufactured on machines. The switchboard on the back side of the machine is located on the pop-up hinge and it enables easy relocation and uncovering the machine. Location of the control panel on the pivot arm enabes the operator to control working process from both machine sides and maximally close to the extrusion die and the extrusion profile. The entire process is automatic and the control line system can be controlled by PLC program with a touchscreen.